Sylvia “June” Trahan passed away peacefully at the age of 96 January 23, 2018. She was born in Koppel, Pennsylvania on November 27, 1921. She is survived by her daughters Donna Buske of Apache Junction, AZ and Linda Round of Cortes Junction, AZ. She was preceded in death by her daughter Sarah Eide of Pahrump, NV. 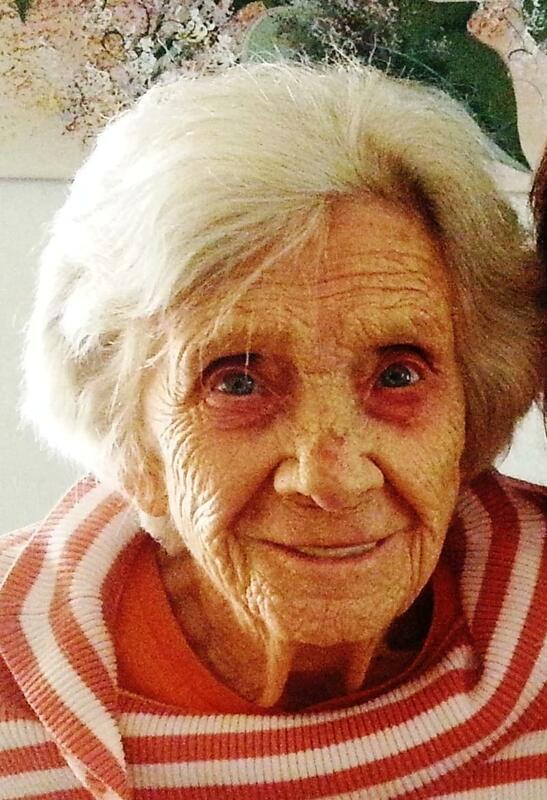 She was known as “Gram” to 8 grandchildren, 17 great-grandchildren and 12 great-great-grandchildren. June loved country music and even played the guitar. During the late 1940s to 1950s, June was Fan Club President for country music stars Doc & Chickie Williams. Then in 1959, she moved to Phoenix, Arizona where she worked for and retired from General Electric building computers for over 20 years. Something we all loved about her is that rarely a day went by that she didn’t have chocolate ice cream. There will be no services per her request. Dear Family, I am so very sorry about the loss of year dear loved one. May the thought at Job 33:25 give you comfort in knowing that Mrs. Trahan will return to the days of her youth and be able to enjoy life without the infirmities of old age. My sincere condolences to you.